My Learning can be accessed through the side menu. My Learning contains all your assigned pathways. These pathways could have been assigned to your by another Admin or you assigned them yourself from the Learning Library . 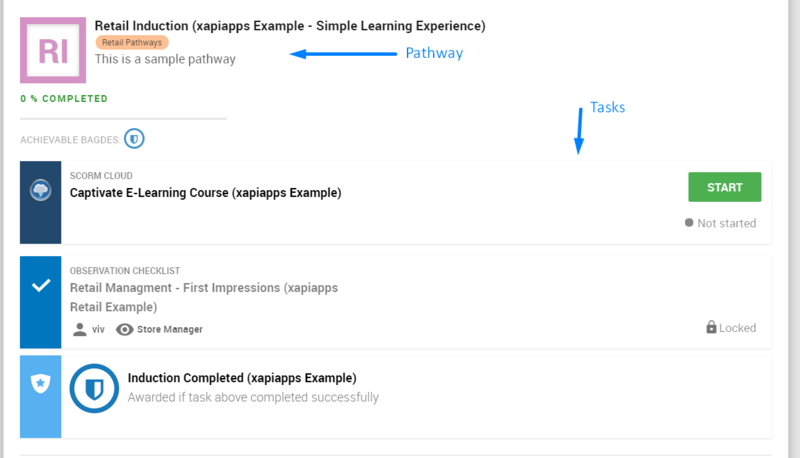 You can find out how the pathway was assigned by clicking on the pathway thumbnail. My Learning only shows underway tasks and upcoming tasks. Upcoming tasks are shown as locked. To unlock them complete the task above it. To see and review completed learning tasks see Completed Learning tab. What is the Learning eXperience Builder? How does group training app work?